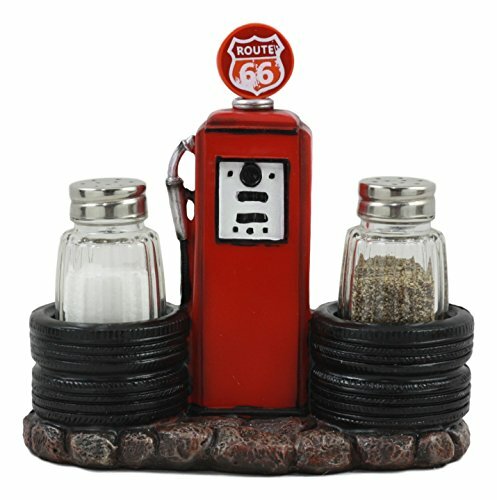 This Route 66 Vintage Gas Station Pump Salt and Pepper Shaker Set measures at 6" tall, 6.5" long and 3" deep. 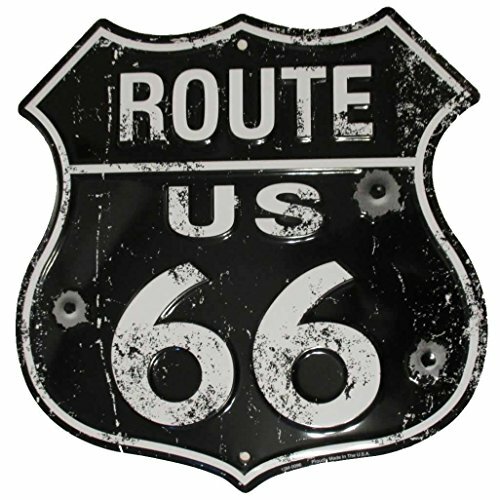 Historic Route 66 shield embossed metal sign. Weathered look including bullet holes. Rich vibrant colors and heavy embossing make these wonderful for decorating your garage, workshop, man cave or anywhere around the house. Click on the "Add to Cart" button to purchase now! Great Gift shirt for the Vintage Collector and party ice-breaker Conversation starter. 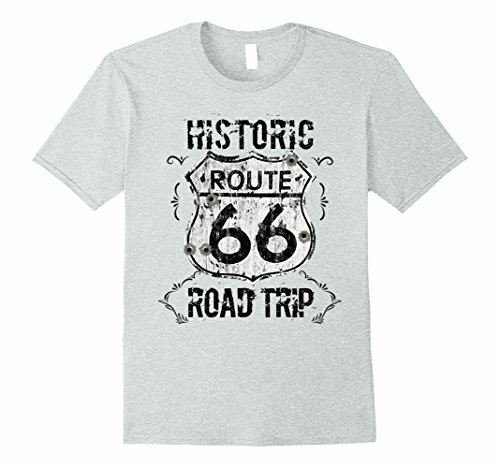 We recommend you buy a size larger than you may think you need, as shirt tends to be slightly smaller in size and may shrink a little in the wash.
"Get your kicks" with this great gift for the friend or family member who wants to commemorate the grand historical highway. 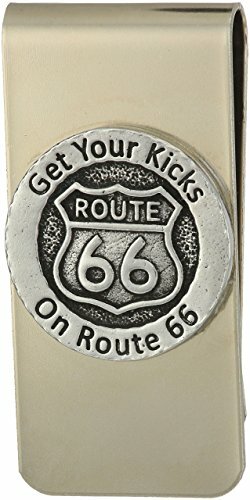 Money clip, relief image design after the actual Route 66 shield signs that line this amazing highway. Dubbed the main street of America. 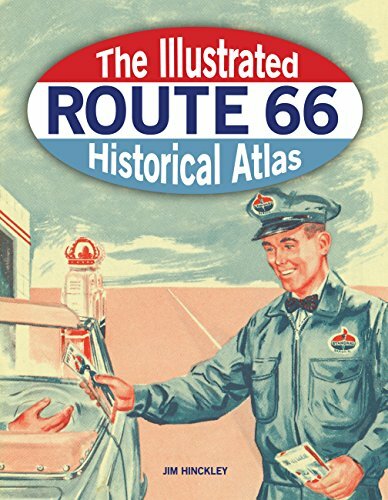 Great gift for the friend or family member who wants to commemorate the grand historical highway. 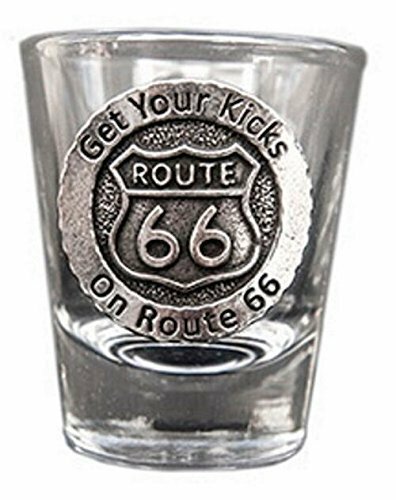 Small shot glass with relief image design after the actual Route 66 sheild signs that line this amazing highway. 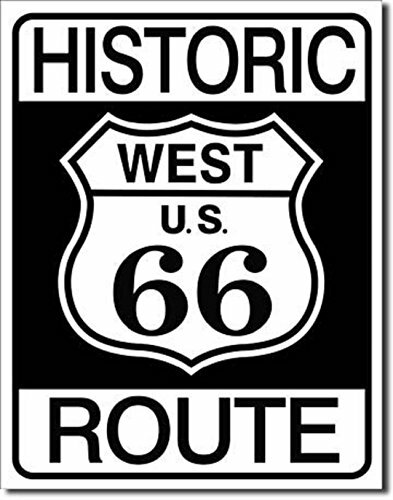 Dubbed the main street of America. What a neat way to express your inner fan with this inspired key tag! Is brand new, never used or displayed. Measuring at approx 3.5" Inches x 1.75" Inches, it matches the "old school" style key tags that were used back in the day when electronic key cards were the stuff of fiction and you actually needed a room key. Made of durable plastic, the tag is light weight (weighing 0.2 ounces) and ready to be used! Note: Key tag does express the following "Drop in any Mailbox, We guarantee postage." 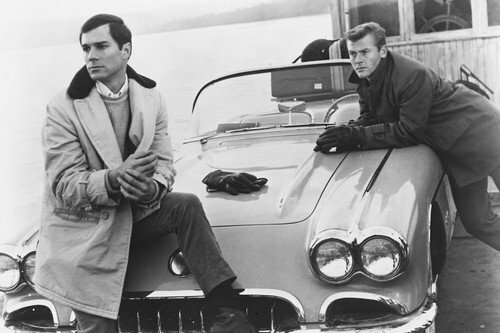 which is solely used for inspired theme only and will not actually be honored by any postage system.